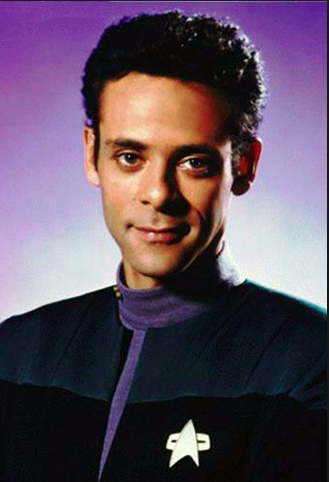 Dr. Bashir-Mysterious Smile. Our inayopendelewa Doctor (No it's not Doctor Who). Wallpaper and background images in the nyota Trek: Deep Space Nine club tagged: deep space nine star trek ds9 far beyond the stars dr. bashir. This nyota Trek: Deep Space Nine photo might contain jezi, t shirt, shati tee, jersey, tee shirt, and shati ya tee.